Since 2005, Legacy Real Estate Investments has acquired or sold over $120 million in commercial real estate assets on the behalf of its investors and clients. Legacy is actively acquiring commercial real estate in the Western U.S., currently focused on the Phoenix, AZ, Salt Lake City, UT and Denver, CO markets. 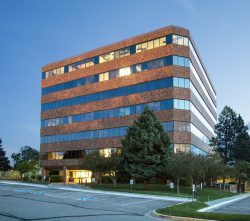 The Kellogg Building in Littleton, Colorado is located just north of C-470 off of Broadway in the southwest Denver office submarket. This class A office building acquired in November 2017 has a dynamic mix of office tenants including accountants, attorneys, financial services, medical, dental, technology and mining related companies in it’s 112,686 square feet of office space. 6042 S State Street in Murray, Utah is located just northwest of Fashion Place Mall, the largest Mall in Utah. The property is anchored by Planet Fitness and Goodwill who occupy the entire 60,000 square feet of existing retail space. The property was acquired July 2017 and is in a strong retail corridor and Legacy plans to build a new 3,600 sf retail pad building along State Street. Richfield Center is at 1500 S Main Street in Richfield, Utah. This is a well located retail building of 20,204 square feet and shadow anchored by the only Walmart for 50 miles. The property was acquired in April 2017 and has strong existing tenants including Little Caesar’s Pizza, Verizon Wireless, Richfield Dental and the State of Utah. 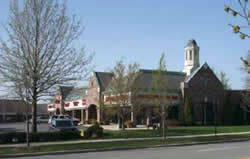 Legacy Plaza at 54th in Taylorsville, Utah is found on the northwest corner of 5400 South and Redwood Road. The currently 194,554 square feet for retail space sits on just over 16 acres of land at one of the busiest intersections in all of Utah. The property was acquired March 2015 and has a strong existing tenant roster including Planet Fitness, Café Rio Mexican Grill, Leatherby’s Family Creamery, Teriyaki Grill and Arby’s. The eastern half of the property will be demolished and redeveloped with 5 new buildings soon to be the home of an exciting list of new national and regional retailers and restaurants. 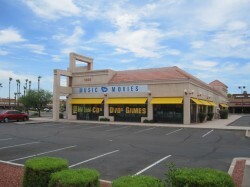 Three Fountains Plaza in Mesa, Arizona consists of 18,500 sf of prime retail space in two separate pad buildings adjacent to Fiesta Mall and shadow-anchored by Target. The property was acquired October 2012 from CW Capital who had previously foreclosed on the property. The buildings were 51% occupied at acquisition with Legacy adding value at closing with the signing of a 10-year lease with O’Briens Restaurant to occupy the remaining 49% of the property. Legacy joined a group of investors in providing the equity for the acquisition. Located in Taylorsville, Utah this property is a class A retail building of 8,680 square feet built in 2006 and on the hard corner of 5400 South and Redwood Road. The property was acquired September of 2011 via an online auction through Auction.com and Legacy closed in 30 days. It is a pad retail building to a larger retail development shadow anchored by a Super Walmart. The property tenants include Go Wireless/Verizon, Monarch Dental and Bajio Grill with the property being 89% occupied at the time of acquisition and was acquired on behalf of a small group of Legacy investors. Located in Denver, Colorado this property is 31,899 square feet of in-line and pad retail that is part of a larger retail corner totaling 93,873 square feet that is shadow-anchored by a King Soopers grocery store and pad tenants including Taco Bell and Jiffy Lube. This property is 92% occupied by strong national and regional credit tenants including Papa Murphy’s, Cartridge World, Great Clips, Subway, Weight Watcher’s, High Point Swim & Sport, Lochwood Square Liquors and Solar Tans. This property has a premier location on the corner of Kipling Parkway and Florida Avenue in Lakewood, Colorado with traffic counts of over 41,000 cars per day. Legacy acquired Lochwood Square Shopping Center on behalf of RealNet Investments in Portland, Oregon. Located in San Antonio, Texas this property was built in 1999 and consists of 32,621 square feet on 5.776 acres. This property has a premier location on the Loop 1604 freeway and Bandera Road in a tremendous growth corridor. This property is 100% occupied by strong national and regional credit tenants including Blockbuster, Baskin Robbins, Regis Salons, Quizno’s, LA Weightloss, Domino’s Pizza, State Farm Insurance, UPS and ReMax. This property is generating 8% cash-on-cash returns to the investors which is expected to increase annually. 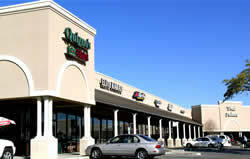 Legacy acquired Bandera Trails Shopping Center on behalf of RealNet Investments in Portland, Oregon. 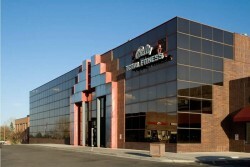 Located in the Denver, Colorado suburb of Littleton directly across the street from Southwest Plaza Mall. This prime retail location consists of 171,634 square feet of retail space on 13.3 acres and anchored by Bally’s Fitness, Tuesday Morning, Checker Auto, Kwal Paint and Fox and Hound Restaurants. Acquired January 2007 the property was 95% occupied and is expected to provide investors a 7.5% cash-on-cash return in the first year with cash flow growth annually. Legacy acquired this property on behalf of RealNet Investments and their investors. Built in 1990 and is a 53,049 square foot office and retail project consisting of 8 buildings. Located north of downtown Indianapolis, Indiana in Carmel this stabilized property is well located in this affluent community with excellent access. Carmel Court is a multi-tenant project that upon acquisition in November 2006 was 98% occupied. This property is producing cash-on-cash returns in the first year of 7.68%. Legacy acquired this property on behalf of RealNet Investments. Located in Indianapolis, Indiana northeast of downtown. This 32,114 square foot shopping center was completely renovated with a new parking lot, exterior paint and storefront elevations in 2005. 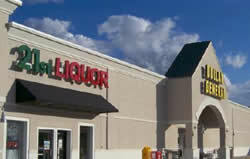 Acquired in October 2006 this property is anchored by Dollar General, Re/Max, 21st Liquor and Lord Ashley’s Pub. Investors can expect a first year cash-on-cash return of 8.0%. Legacy acquired this property on behalf of RealNet Investments. 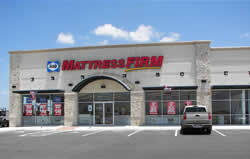 Strategically located at the freeway intersection of Highway 151 and Loop 410 in San Antonio, Texas. 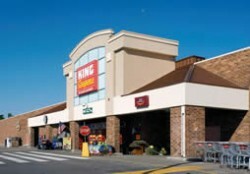 This 18,355 square foot retail strip center was purchased from the developer upon completion in September 2006. The property boasts a strong tenant roster with Supercuts, Subway, Leslie’s Pool & Spa, The Mattress Firm and Cabo Grill. This Class A property is part of a 700,000 square foot retail power center including Target, Lowe’s, Ross Dress for Less and Sportsman’s Warehouse. This stabilized asset will produce a 7.4% cash-on-cash return for investors in the first year. Legacy acquired this property on behalf of RealNet Investments. Located in Orem, Utah with I-15 freeway visibility. This 13,840 square foot flex retail property was 100% vacant when put under contract by Legacy Real Estate Investments, Inc. in March 2006. 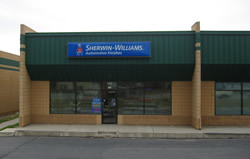 While under contract, Legacy along with the assistance of NAI Utah was able to sign long-term leases for 75% of the building to quality credit tenants including Sherwin Williams for 10 years and Wood Floor Warehouse for 7 years. This value-add deal now a stabilized property was recapitalized in September 2006 for a substantial profit and is currently paying a 12.0% cash-on-cash return to ownership. Legacy retains a 12.95% ownership interest in the property. Located in San Antonio, Texas in the upscale submarket of Stone Oak. This 21,076 square foot retail shopping center is 100% occupied with tenants including Pizza Hut, Quiznos and Guero’s Mexican Grill. Stonehue Shopping Center is a stabilized asset providing a cash-on-cash return of 8.4% in the first year to the investors while also providing upside potential due to existing tenant rents that are below current market rates. Legacy acquired this property on behalf of RealNet Investments. Located in Lindon, Utah with I-15 freeway visibility. 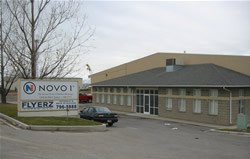 This well located office and warehouse building was completely renovated in 2005 and was acquired by Legacy in March 2006. The building consists of 38,400 square feet and is occupied by three tenants on long term leases and is generating a 10.24% cash-on-cash return to its investors in the first year. Legacy retains a 4% interest in the property. 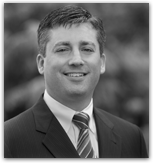 IMPORTANT NOTICE – Real estate investments involve risk. Economic and market forces and unforeseen costs may adversely affect the ability of an investor to recoup its initial investment. Consequently, only an investor that can afford to risk its investment should consider the investments offered by Legacy. Funds invested with Legacy should not be invested for such purposes as emergency savings, home purchase, education funding, dependent care, safety or principal, or any short-term purpose.